A writer and her reading. It’s all over bar the marketing. 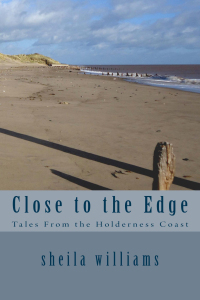 The paperback is up on Amazon and the e-book shortly follows – “Close to the Edge – Tales from the Holderness Coast” is a reality. It’s taken around two years to get to this point and the final product is not a bit like my original idea. Perhaps that’s inevitable and I’m happy that it’s so. What have I learned from the experience? Perhaps in another blog I’ll share my reflections with you. For now, I’m putting my rather sketchy marketing plan in place and I’ll be back in the UK at the end of the month to drum up some interest…well try to at any rate. This entry was posted in The Short Story by cath. Bookmark the permalink.